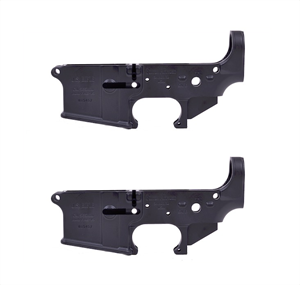 Mil-Spec aluminum forging is CNC machined and hard-coat anodized to provide the strength and wear resistance required for demanding tactical applications, or building highly accurate match and varmint rifles. Fully finished and ready for fitting; accepts most Mil-Spec and aftermarket parts. Right side is marked for safety selector. .250" diameter takedown and pivot pin holes.